This celestial rose is actually made of two galaxies, UGC 1810 and UGC 1813. 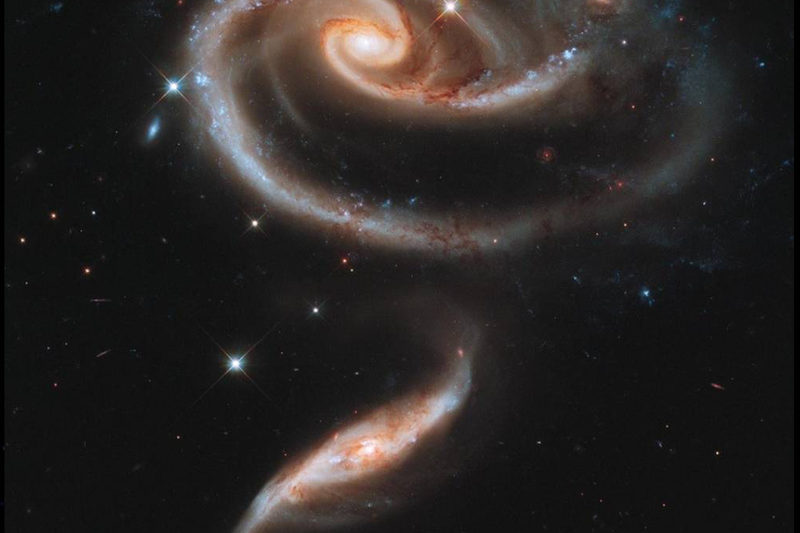 UGC 1810 is the top, rose bud shaped galaxy, while UGC 1813 is the unusually shaped “stem” at the bottom. 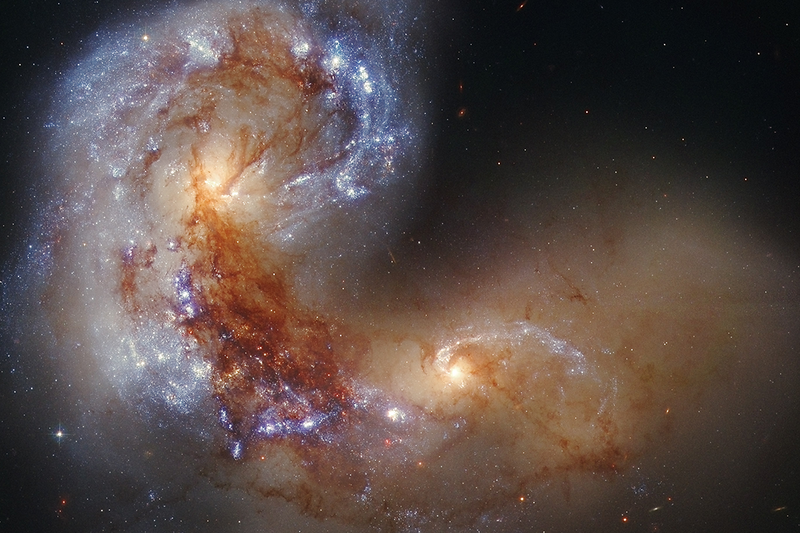 Gravitational forces pulled these two galaxies together to form this fantastic shape. NGC 4038, or The Antennae, is a gorgeous mess made of two spiral galaxies. You can see the remnants of one galaxy in the top-left, and the other in the bottom-middle of the image. 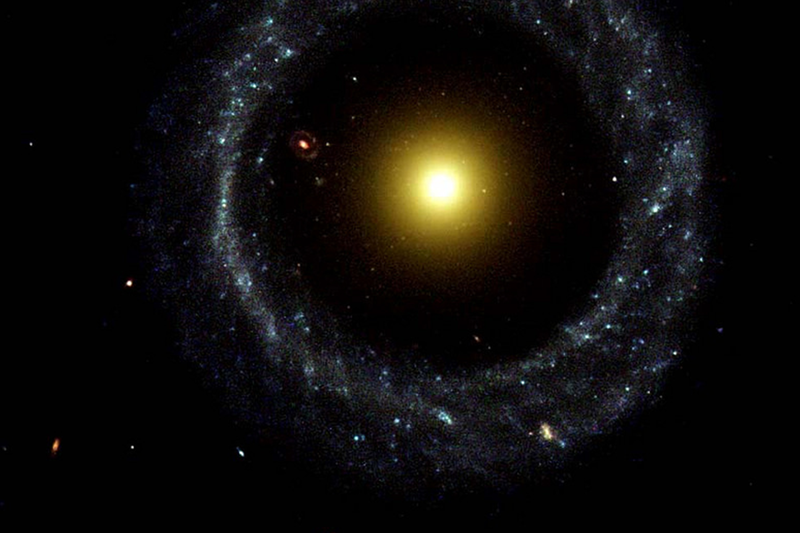 Although it may look like two galaxies, Hoag’s Object is a single ring galaxy. It’s one of the rarest types of galaxies that scientists have discovered. 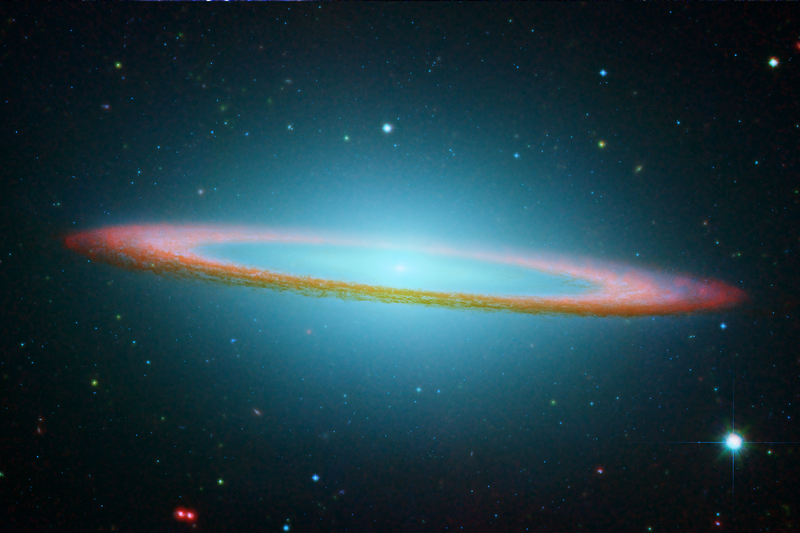 It’s easy to see why this galaxy is called the Sombrero Galaxy. 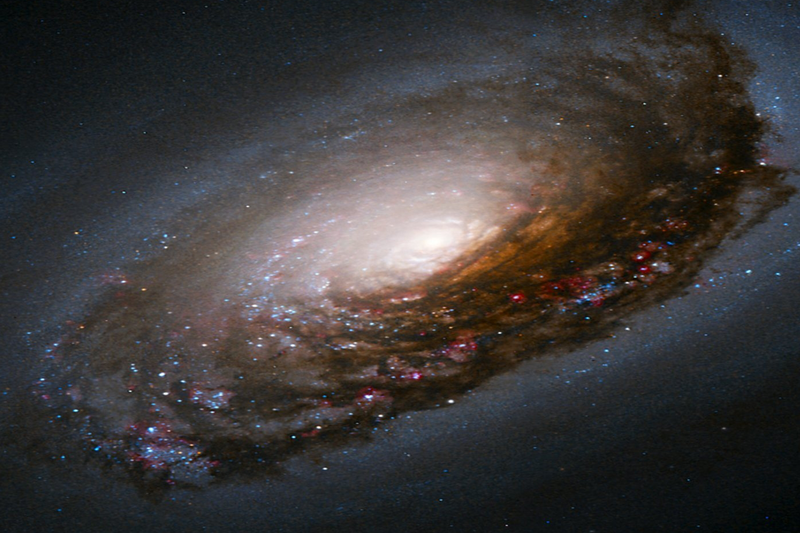 The galaxy has a diameter of approximately 50,000 light-years and is just 30% the size of our own galaxy. The large bulge in the middle is thought to contain a supermassive black hole. This is the Black Eye Galaxy, or M64. This gorgeous galaxy has a strange ring of gas and stars that rotates the opposite direction as the materials closer to its center. Scientists believe this unusual phenomena may be the result of a collision with another galaxy. 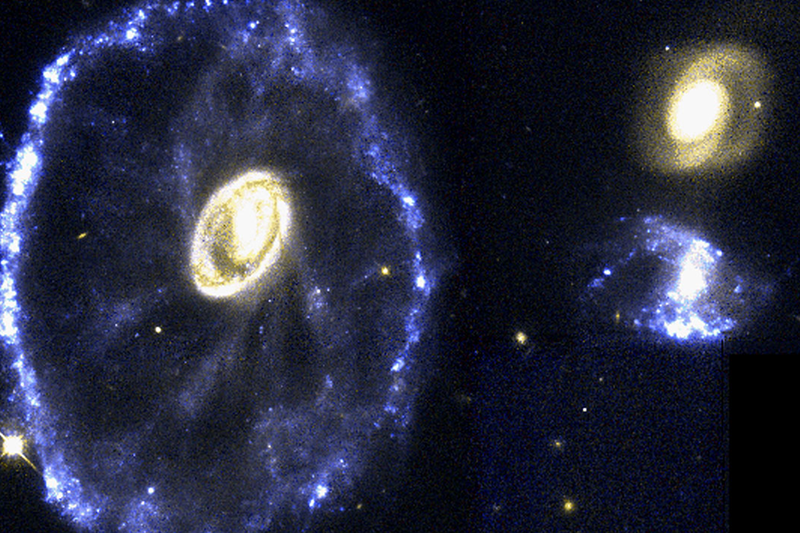 The Cartwheel Galaxy may be one of the most unique galaxies that we know of. It’s baffling shape is the result of a head-on collision that caused dust and gas to spread out and form the outer ring. 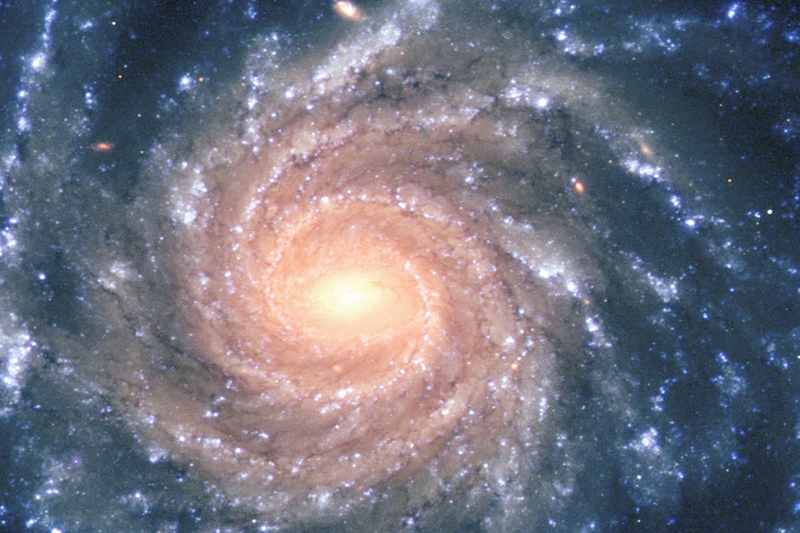 The Grand Spiral Galaxy, also known as NGC 1232, is twice the size of our own spiral galaxy. This composite image highlights older stars in red near the center and young stars in blue amongst the spiral arms. This beautiful celestial body is 100 million light years away.